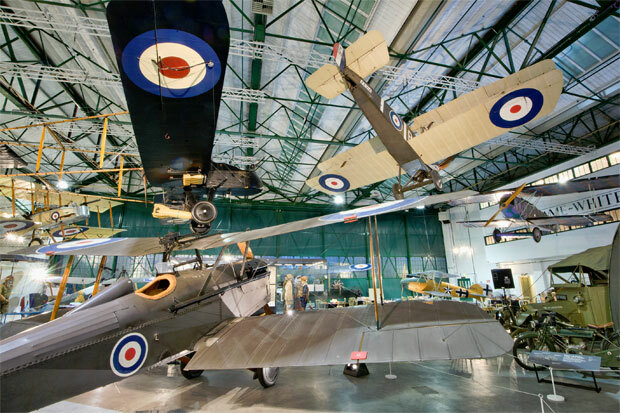 The RAF (Royal Air Force) Museum makes a great place to visit on a family day out. There are two branches and the RAF Museum is the only national museum that tells the story of the RAF, its planes and its people. There’s a huge collection of aircraft — early designs and modern ones too. There are over 100 planes to look at which is quite amazing. I prefer going by public transport as it’s more flexible. My husband is the only driver in our family so if I want to go somewhere with the kids on my own, I always look for the best public transport option. The kids love the adventure of travelling by underground too! Of course, there’s usually parking available at the RAF Museum in London, but they’re currently re-doing it to make it better. It’s so easy to travel to the museum by public transport from key locations in London so this is really not a problem. Check out the new First World War in the Air exhibition. Discover the life-sized model of the F-35 Joint Strike Fighter jet — this is the only place in the world where it’s displayed. Learn about the amazing heroes, heroines and trailblazers who have contributed so much to the development of flight and the RAF. Check out the ‘Bomb Bay’ television underneath our gigantic Vulcan Bomber. The RAF Museum in London is open as usual and entry is completely free.